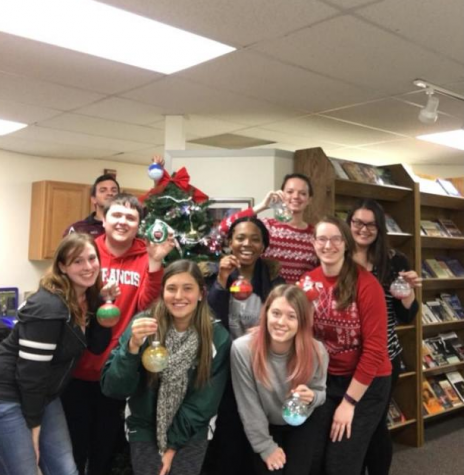 The fundraiser is semi-annual and sends out different groups of Habitators to professors’ homes to participate in some spring cleaning once each semester. The club’s president, Morgan Stacey, a senior Economics and Finance double major, oversees this special event. 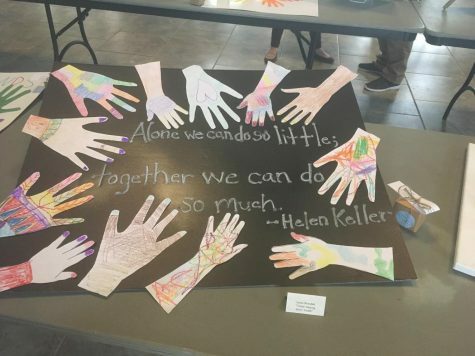 “The purpose is to help raise money to send club members on our spring break trip to serve with Habitat for Humanity Chapters in different parts of the country,” Stacey said. 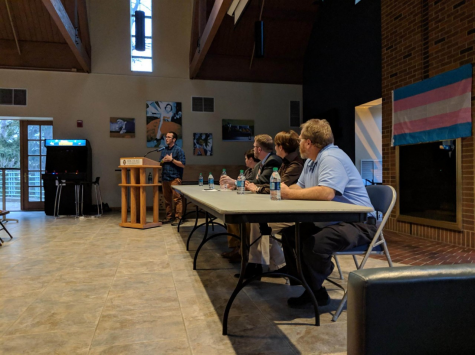 While the fundraiser was initially only meant for Mercyhurst professors, the club opened it up to other community members this past year. “The fundraiser is now also an awesome opportunity for us to be able to give back and help ‘beautify’ our local Erie community,” Stacey said. Volunteers typically help clean up yards from the harsh winters in preparation for spring. As well as yard work, they may also do spring cleaning indoors, help with planting or weeding gardens, clean cars or furniture and help with DIY or repair projects. 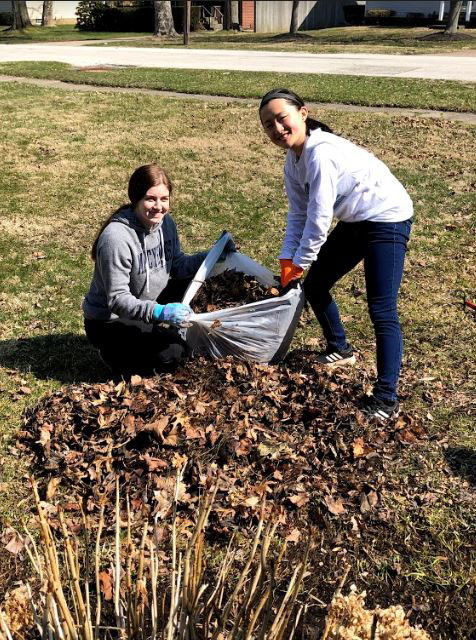 Freshman Political Science and History double major Trey Catalano volunteered on April 6 for Mary Ann Owoc, Ph.D.
Owoc, an associate professor in the Anthropology and Archeology department, sought the Habitators help with raking leaves in her backyard. Other volunteers went to the home of Alice Edwards, Ph.D., Spanish professor in the World Languages and Culture department. “I think this is my fourth year participating in the program. Of course, in part I participate because I want to support the good work of Habitat. But there are always tasks at home that are done better with more hands. 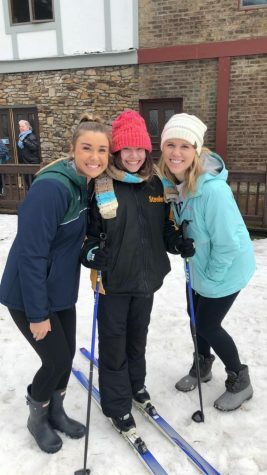 This year we cleaned out the front yard and if I had not had the help of my two students, I’m not sure I would have found the motivation to do it,” Edwards said. The Habitat for Humanity Club will gladly accept help from any volunteers regardless of whether or not they are active club members. 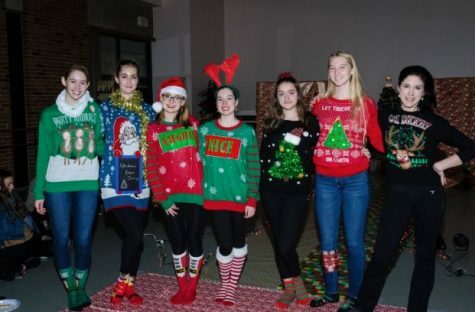 “We couldn’t do the fundraiser without our awesome volunteers and the commitment from the Mercyhurst women’s ice hockey team, football team and wrestling team,” Stacey said. “Overall it was a fantastic experience that I’m extremely grateful for and I’d do it again in a heartbeat,” Catalano said. Members and nonmembers alike are all welcome to volunteer and help serve those in the Erie area. 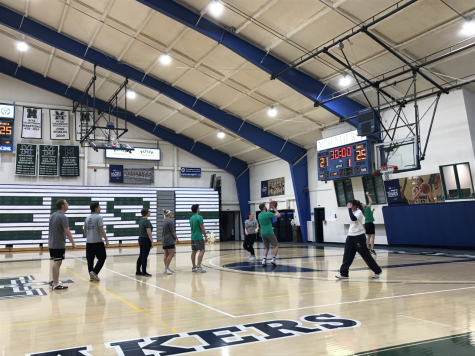 The upcoming dates to volunteer are April 27 and April 28 from 10 a.m. to noon or from 1 p.m. to 3 p.m.
Any interested volunteers should contact Stacey via email at mstace30@lakers.mercyhurst.edu.